This creamy Cauliflower Potato Soup is a deliciously healthy alternative to potato soup that is made without milk or cream. The carbs are kept in check by the addition of cauliflower, but I promise, you won’t miss a thing! 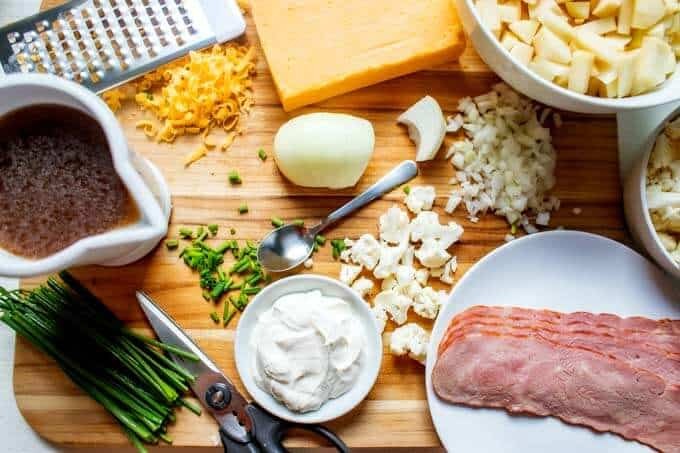 This Cauliflower and Potato Soup is topped off with sour cream, chives, cheese, and bacon, making this healthier soup recipe one the whole family will crave. Ya’ll, today I have another soup for you, but not just any soup. It is a delicious, creamy Cauliflower Potato Soup that you are going to love. It manages to achieve rich and creamy status without a drop of cream or milk. You simply must try it. If you have ever asked your self how to make your potato soup more flavorful, this Cauliflower Potato Soup answers the question. It is all about the toppings. What better to top a Cauliflower and Potato Soup with than crispy bacon, creamy sour cream, gooey cheese and a sprinkling of chives? This recipe is from Lindsay Maitland Hunt’s new book Healthyish. 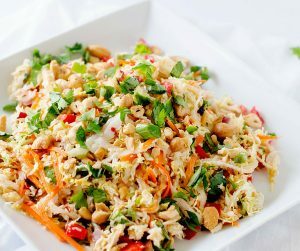 The book is full of healthier recipes that you will want to make, just like this one. I was excited to make this delicious Cauliflower Potato Soup with fantastic tools from OXO. 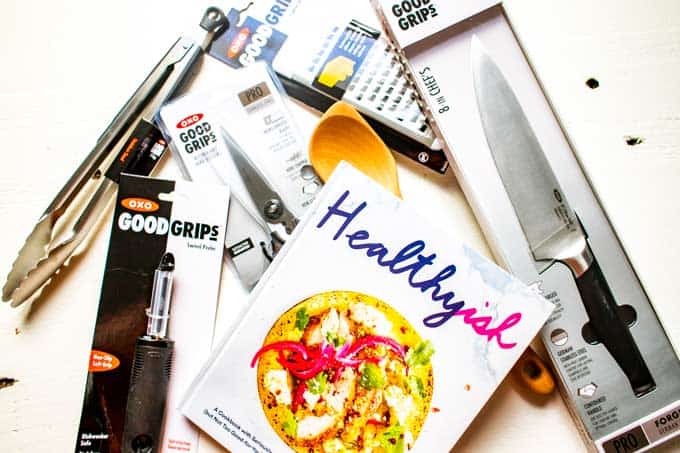 I seriously love their kitchen products – which cover everything from prep tools to organization. I had countless in my kitchen already and was so excited when they sent me some new ones to celebrate the cookbook launch of Healthyish. Pro 8″ Chef’s Knife – Perfect for dicing, chopping mincing and scooping. This baby is sharp and gets the job done. 12″ Tongs – It has been years since I’ve had a good pair of tongs, and these are going to get a LOT of use in my kitchen. They are both sturdy and comfortable, perfect for effortless grabbing and flipping. Wooden Corner Spoon – You can never have too many spoons in your kitchen, and I love that this one is made of solid, one-piece beach woods. I love how the distinctive straight-sided shape of this one allows you to better reach along the walls and corners of cookware. Coarse Grater – The etched blade of this coarse grater is perfect to tackle soft cheese, apples, onions, potatoes and more! Swivel Peeler – I am madly in love with this peeler because it made the job of peeling potatoes a breeze while leaving all the good stuff intact. I always struggle with peelers slipping, but thanks to the cushioned handle, this one doesn’t slip even when your hands are wet. Kitchen and Herb Scissors – I use scissors in the kitchen every day! These are amazing for cutting meat, veggies, twine and more. I love how the soft handles feature cushioned pads to absorb pressure. Let me know if you try this Cauliflower and Potato Soup Recipe! 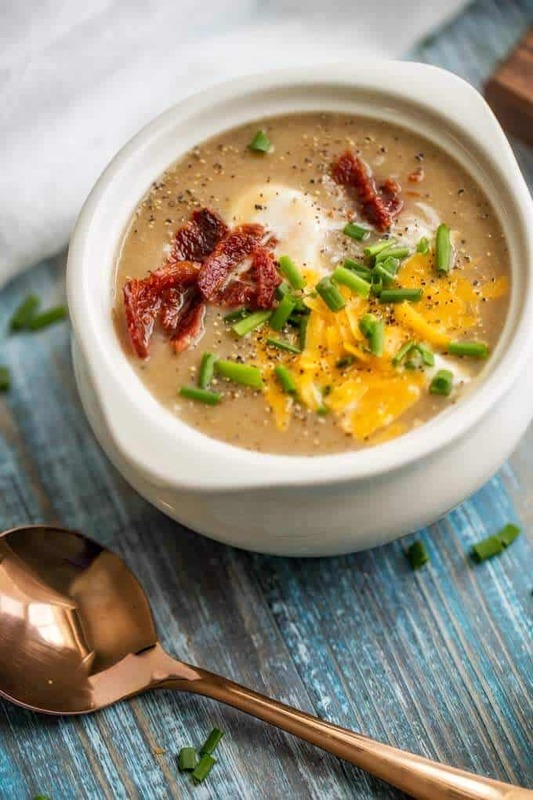 This creamy Cauliflower Potato Soup is a deliciously healthy alternative to potato soup that is made without milk or cream. The carbs are kept in check by the addition of cauliflower, but I promise, you won't miss a thing! 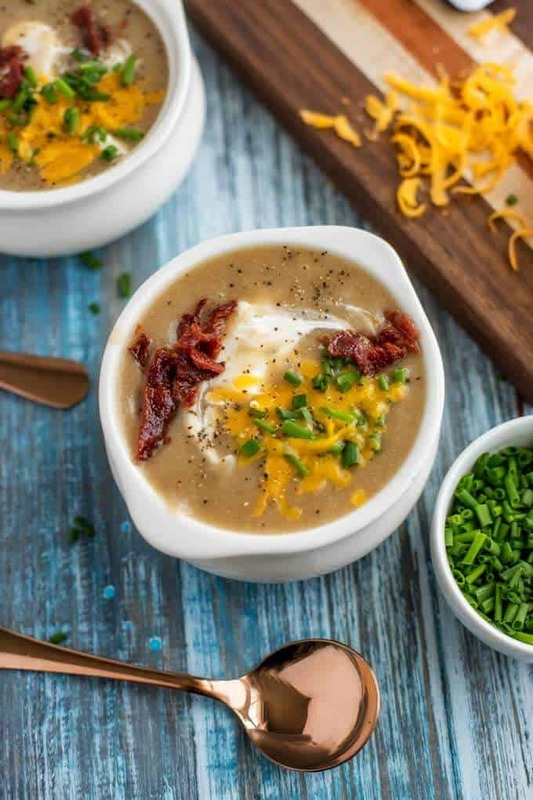 This Cauliflower and Potato Soup is topped off with sour cream, chives, cheese, and bacon, making this healthier soup recipe one the whole family will crave. 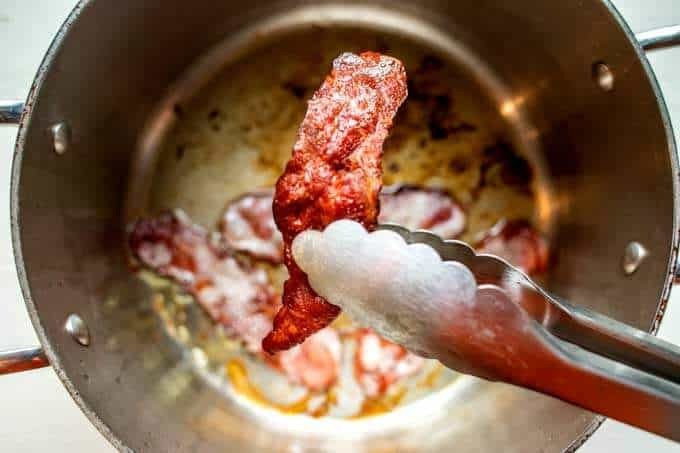 Use tongs and transfer the bacon to a paper towel-lined plate. Spray the pot with additional oil if needed and add onions, 2 teaspoons salt, and 1 teaspoon pepper. 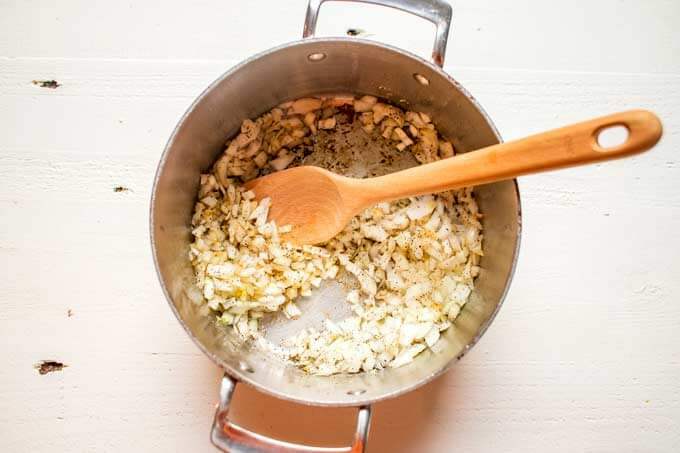 Cook, stirring often, until the onions are tender and translucent, about 10 to 12 minutes. 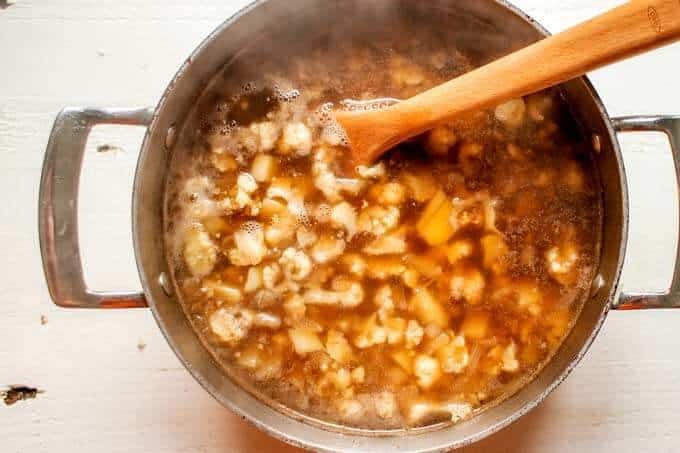 Stir in potatoes, cauliflower, and broth. Bring to a boil over high heat. Reduce to a strong simmer and cook, stirring occasionally, until the potatoes are very soft, about 15 to 20 minutes. 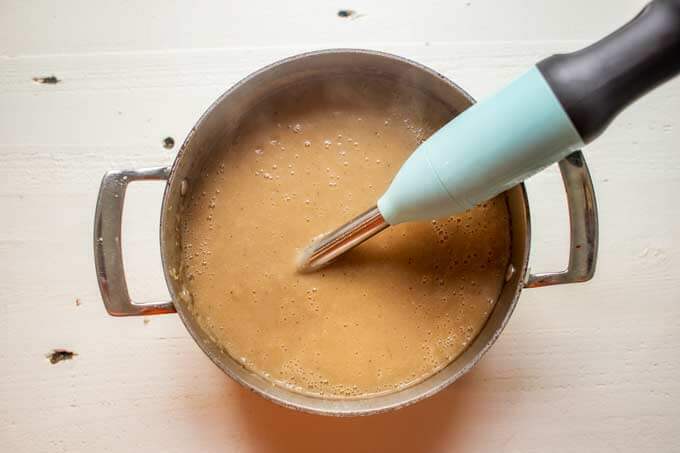 Puree the soup, using a blender in batches or an immersion blender. Season to taste with salt and pepper. Transfer the soup to bowls. 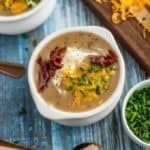 Crumble the bacon over the soup and top with sour cream, chives, and cheese. To make this Cauliflower and Potato Soup vegetarian, use vegetable broth, and tempeh bacon. Coconut bacon would be great too! Lightly adapted with permission from Healthyish by Lindsay Maitland Hunt. Your soup looks delicious and there is nothing like a bowl of great soup during a blizzard! I need small kitchen scissors think I’ll check out the OXO Good Grips. Yes for sure! It is not even cold here and we really enjoyed it. Defiantly try those scissors. I love them so much I’m getting a second pair. I love both potato soup and cauliflower soup but they are usually made with milk or cream and a bit too rich for me. 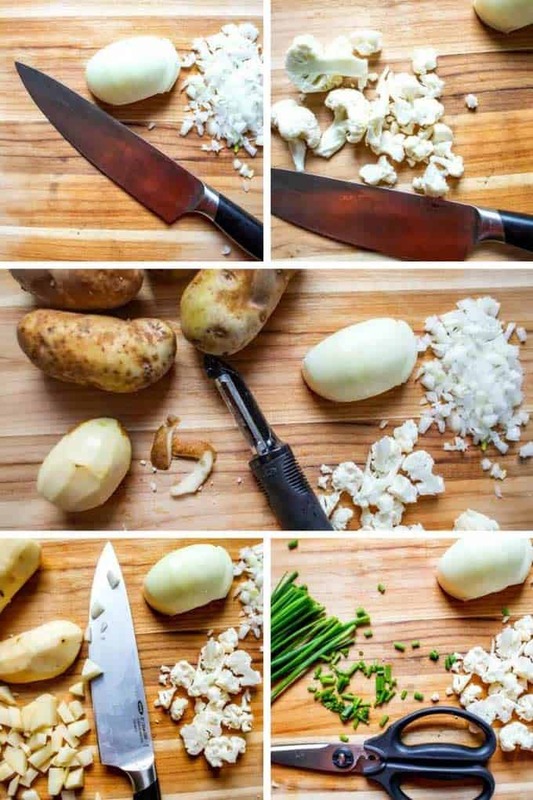 This recipe using both potato and cauliflower looks so delicious and flavorful! I’m sure that taste as delicious as they look!My boys would both probably DIG this! this looks so delightful and tasty. this will be a huge hit! and it will disappear in no time at our house! Everyone in my household is vegetarian, but I think we could easily modify this recipe to meet our dietary restrictions. For sure! I have my recommendations in the notes on how to make it vegetarian. I am not a strict vegetarian, but unlike the rest of my household I eat that way much of the time. This looks really delicious! I’ve never though about potato and cauliflower together but now I may have to try it! I’m not sure my stomach can cope with how amazing this looks, my tummy is rumbling so much. 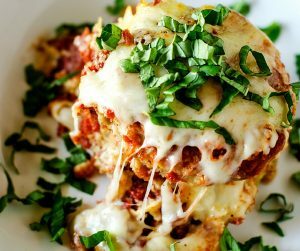 I NEED to try this for myself, so saving this recipe for sure! Oh I made cauliflower soup a few weeks ago, but it didn’t have potatoes in it. I think I like this combination and will have to use his recipe. I’ve been pondering what to make with the cauliflower I have sitting in my crisper. Thanks for the recipe. Cauliflower soup is one my go-to’s for a quick and healthy soup. It’s so comforting and you can really load up the flavor by roasting the cauliflower or really getting a good caramelization on the onions. I bet this fully loaded version is packed with yummy goodness. Thanks for the recipe. So love it. Amazing indeed!